Our range of products include suspended platform 7.5 mtr, l type suspended platform, cradle machine 7.5 mtr, building maintenance platform, suspended platform repairing service and hanging platform maintenance service. Wire Rope Length 100 Meter x 4 No. 100 Meter x 4 No. 5. Install and maintain for high-rise building elevator hoist way, shipbuilding industry, seagoing vessel, warships welding maintenance. Service brake incorporated in the hoist. Two fall arrest devices acting on the safety wire ropes. No power descent in case of power failure. Wire Rope Length	 100 Meter * 4 No. 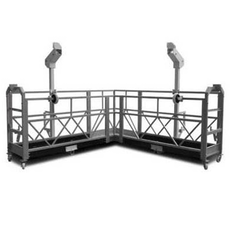 Suspended Platform : It has centralized control panel, additional remote pendant switch. All cradle floors have chequred non slip flooring. Guide Rollers are provided to protect the cradle as well as building. The cradle can dismantled completely for ease of transportation from place to place. Additional the cradle is fitted with 4 castors for easy transportation in assembled condition. Ø Good-quality steel wire rope, safety rope and cable. Ø Modular design. Easy to disassemble, assemble operate and maintain. tion projects and other construction working of outer walls of high-rise building. Wire Rope Length 100 Meter * 4 No. Counterweight(kg) optional 25*40pcs= 1000 Kgs. The equipment will be made available to the service Engineer for performing the contracted work on the appointed / agreed day. As the time of visit of the service Engineer, Customer shall provide all assistance to him like oil, grease, unskilled manpower is necessary spare and tools (Special diagnostic and service tools will be provided by the contractor) in case of the said equipment requires be dismantling re-erecting at the other location s aperate dismantling charges and re-erecting charges shall be paid extra by customer. I.S.ENGINEERING WORKS are engaged in offering high quality Hanging Platform Maintenance Services. The offered products are rendered by our team of experienced professionals utilizing high quality raw material and cutting-edge technology keeping in mind international standards. These products are highly appreciated for reliability, durability and cost-effectiveness. Moreover, our offered products are also examined on set parameters to eradicate all the flaws. Keeping track with the market development, we are engaged in providing our clients Suspended Platform Spare Part Service. We provide customers with on time repairs and replacement of parts with genuine ones if required. Further, our professionals assure that the services are rendered in conformation with the global quality standards. AFTER SALE SERVICE & REPAIRING ON SITE facility is available within hours for Delhi, Ghaziabad, Noida, Meerut, Hapur, Mujaffarnagar, Gurgaon, Sonipat, Panipat, Faridabad, Palwal and other areas. Our Service Engineer shall visit in every 24 Working hours at your site for routine checkup. The Service Engineer shall work any time between 10:00 AM to 10:00 PM. 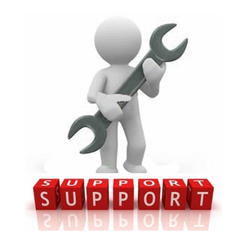 Necessary assistance for service engineer will be provided by the customer. As the time of visit of the service Engineer, Customer shall provide all assistance to him like oil, grease, unskilled manpower is necessary spare and tools (Special diagnostic and service tools will be provided by the contractor) in case of the said equipment requires be dismantling re-erecting at the other location separate dismantling charges and re-erecting charges shall be paid extra by customer. All disputes will be settled in Delhi Jurisdiction. Should you have query, please do not hesitate to contact us. I.S.ENGINEERING WORKS are engaged in offering high quality Window Cleaning Cradle System. The offered products are rendered by our team of experienced professionals utilizing high quality raw material and cutting-edge technology keeping in mind international standards. These products are highly appreciated for reliability, durability and cost-effectiveness. Moreover, our offered products are also examined on set parameters to eradicate all the flaws. I.S.ENGINEERING WORKS are engaged in offering high quality Hanging Platform . The offered products are rendered by our team of experienced professionals utilizing high quality raw material and cutting-edge technology keeping in mind international standards. These products are highly appreciated for reliability, durability and cost-effectiveness. Moreover, our offered products are also examined on set parameters to eradicate all the flaws. AFTER SALE SERVICE & REPAIRINF ON SITE facility is available within hours for Delhi, Ghaziabad, Noida, Meerut, Hapur, Mujaffarnagar, Gurgaon, Sonipat, Panipat, Faridabad, Palwal and other areas.